Welcome to TMC Skiing! Here you’ll find resources for our downhill, telemark, backcountry, and cross-country programs. Want to stay up-to-date with TMC Skiing? Interested in leading a trip or teaching an instructional? Leave your contact information HERE, and get notified about trips you’re interested in! Need to contact leaders or participants? Scroll to the right on the linked spreadsheet and filter TMC skiers by discipline and ability level—just copy and paste their contact info into an email! The best resort skiing in the East is only minutes from the Loj. Beginners will enjoy Loon Mountain or Bretton Woods, and intermediate–advanced skiers should check out Cannon Mountain. Be sure to check the trips board for free lessons taught by our community members. Many of our leaders have worked as instructors, so lessons are a fantastic opportunity to improve your ability, especially if you’ve never been on skis before! If you don’t want to learn and just want to shred, that’s okay too! Make some new friends by signing up for day excursions. Other mountains/resorts, along with more information on those listed above can be found here. Thanks to Matt Walter, TMC has a full roster of proficient telemark skiers, all of whom are willing to share their knowledge with you. (Don’t know what telemark skiing is?) As a result of Matt’s donations, TMC members receive free telemark equipment rentals and $20 lift tickets at any resort. Learn to #FreeYourHeels this winter by signing up for a telemark instructional on the trips board or by arranging one with the Skiing Director! From open glades to steep couloirs and hiking trails, the White Mountains offer many exceptional backcountry ski spots. Note: Backcountry trips require solid skiing experience. Check the trips board for excursions of all levels, and please contact the Skiing Director before planning a trip. For trip ideas: check out Ari’s guide to backcountry skiing in New England, and join the TMC backcountry skiing group to stay up-to-date on trips and tips. Backcountry trips require the use of skins, alpine touring (AT) bindings, and compatible boots (or a telemark setup paired with skins), so downhill equipment will not work. All of the gear you need can be rented at Village Ski Shop for $35. 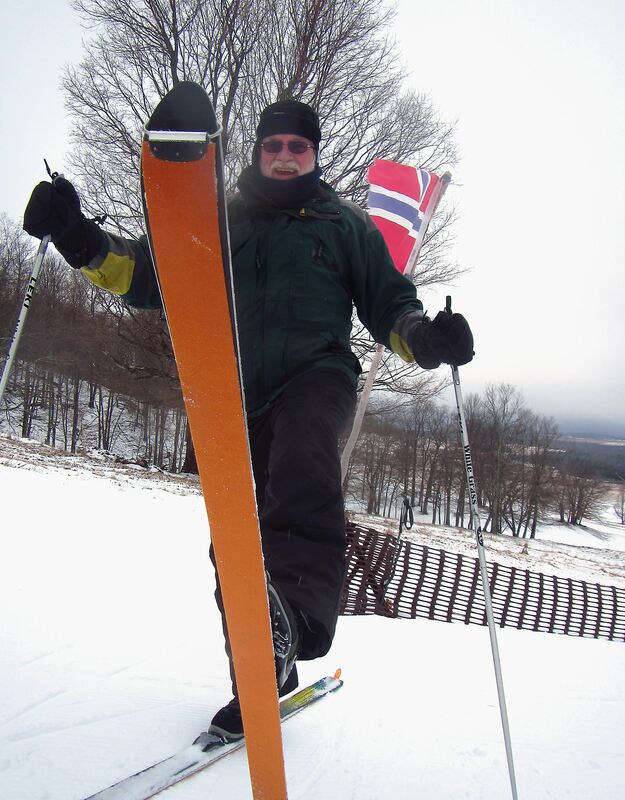 The Loj has access to many phenomenal cross-country skiing routes, and TMC members receive free access to the club’s classic cross-country equipment (TMC doesn’t have skate skis, but they can be rented from Village Ski Shop.). Please contact our ski director with questions about trips, trails, and equipment. TMC is aware that skiing is a prohibitively expensive sport, and we work very hard to make participation as accessible as possible, but we also have to be realistic about our financial limitations. Unfortunately, we cannot subsidize tickets for downhill skiing this season, but keep in mind that as a result of Matt Walter’s donation we are able to cover the entire cost of a lift ticket over $20 for all telemark trips. Telemark skiing is loads of fun, so take advantage of this awesome deal by learning the discipline, and I promise you won’t regret it! For intermediate–expert skiers, backcountry skiing is the best way to travel cheaply through the Whites during the winter. Alpine touring rentals are available from Village Ski Shop for $35 and telemark rentals for backcountry are free. Throughout the year, we will host backcountry information nights and skill sessions, so that skiers who are new to backcountry can become acquainted with the gear and learn about safety resources. If you don’t have all the required gear, post in the TMC Facebook group or contact the Skiing Director, and we can probably hook you up. We are committed to getting every TMC member who is interested in skiing out on the slopes this winter.